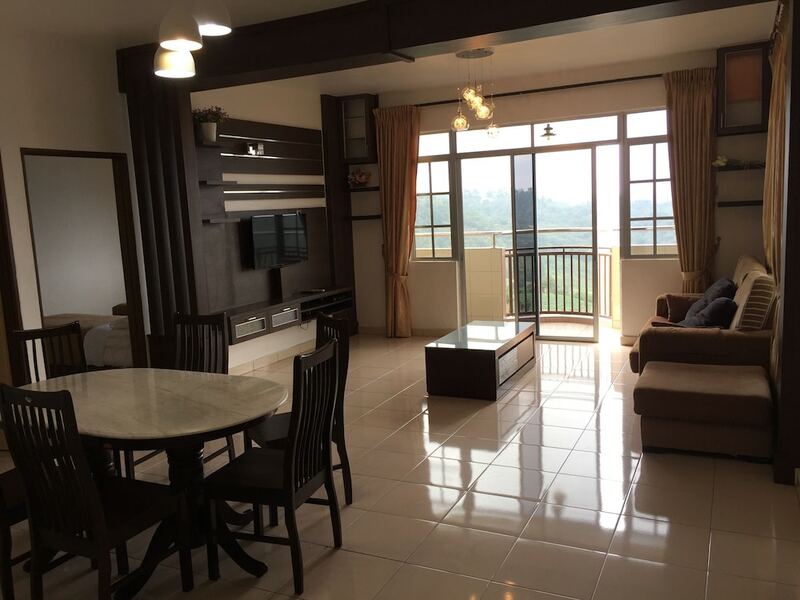 Located in Brinchang, this apartment is a 4-minute drive from Cameron Highland Golf Club and 6 minutes from Sam Poh Temple. This apartment is 1.4 mi (2.2 km) from Mossy Forest and 1.5 mi (2.4 km) from Parit Falls. Make yourself comfortable in this apartment, featuring a kitchenette with a full-sized refrigerator/freezer and a stovetop. There's a private balcony or patio. A flat-screen television is provided for your entertainment. Conveniences include a desk and a separate sitting area, and housekeeping is provided on a limited basis.